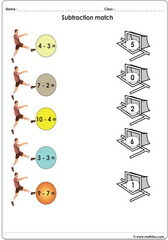 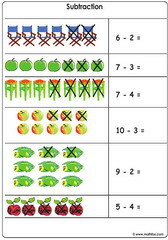 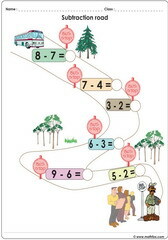 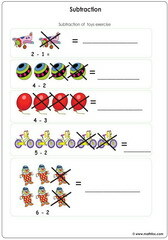 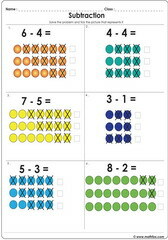 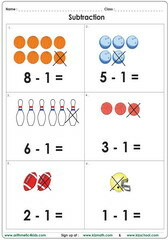 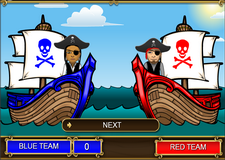 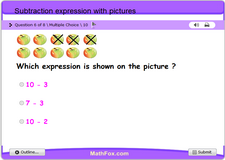 Subtraction activities for children, introduction to subtraction, subtraction with pictures, subtracting zero, subtract a number from its double, subtract 1 digit numbers, subtract 1 from 2 digit numbers, subtract 3 from 4 digit numbers, subtract fractions, subtract up to millions, subtraction word sentence problems. 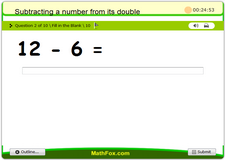 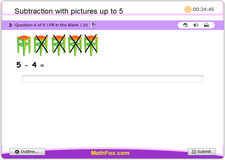 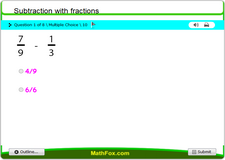 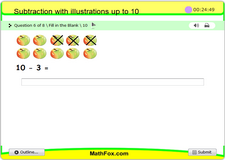 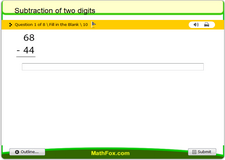 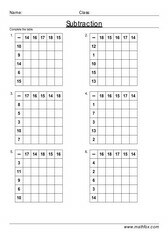 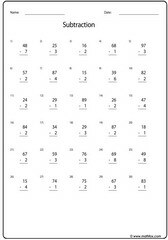 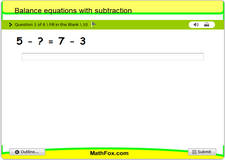 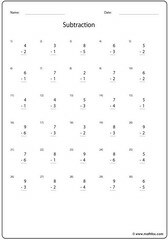 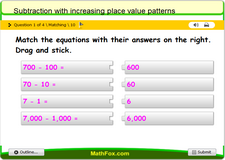 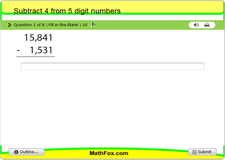 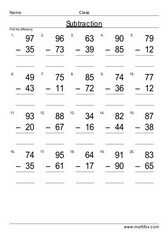 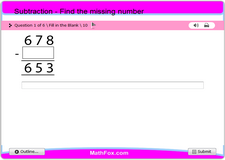 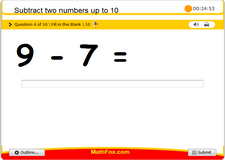 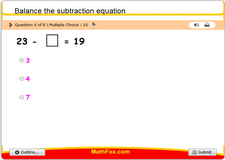 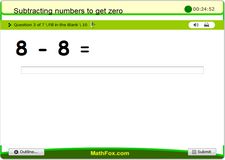 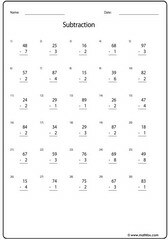 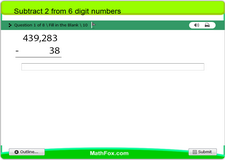 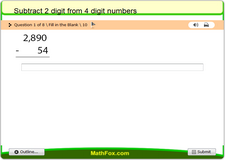 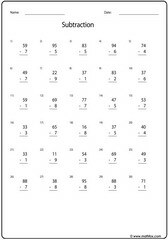 Subtraction math activities - worksheets, games, quizzes, tests, PowerPoint games, board games, card games . 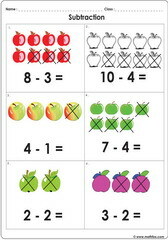 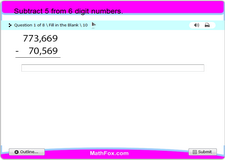 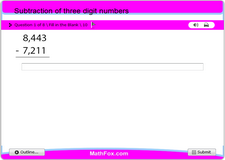 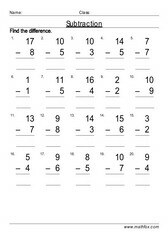 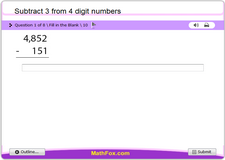 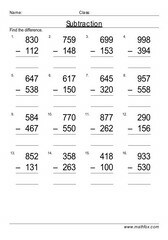 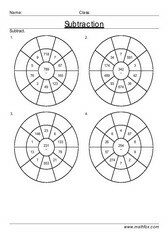 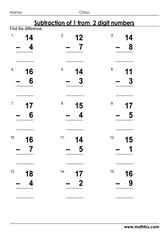 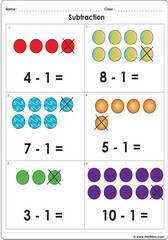 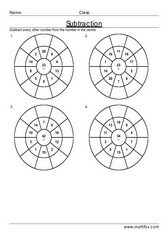 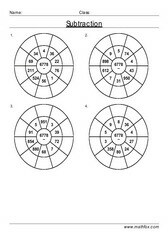 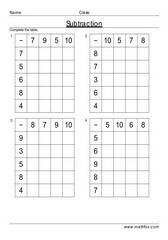 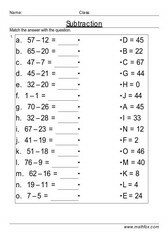 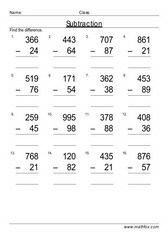 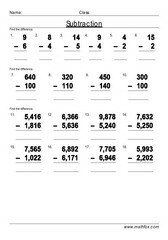 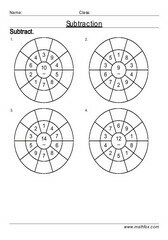 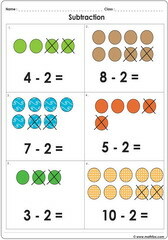 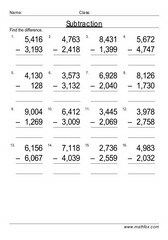 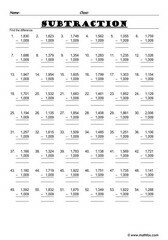 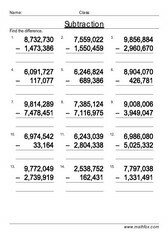 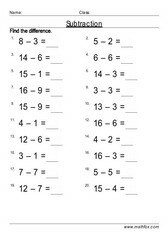 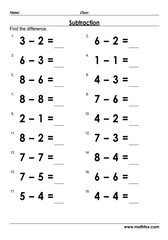 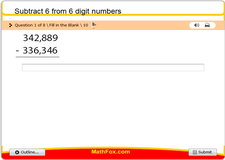 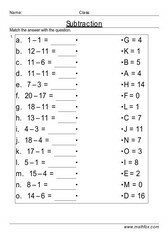 Resources cover topics: introduction to subtraction, subtraction with pictures, subtracting zero, subtract a number from its double, subtract 1 digit numbers, subtract 1 from 2 digit numbers, subtract 3 from 4 digit numbers, subtract fractions, subtract up to millions, subtraction word sentence problems, etc. 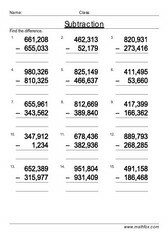 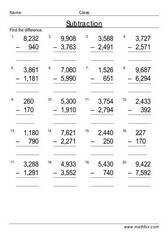 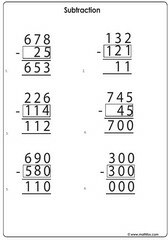 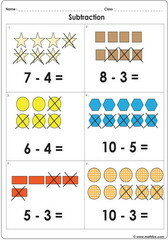 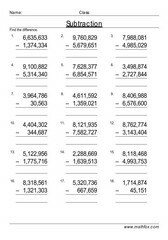 Subtraction materials for children in grades : Pre-k, kindergarten, 1st grade, 2nd grade, 3rd grade, 4th grade, 5th grade, 6th grade and 7th grade.